The demands of customers for the surface quality of steel strips becoming increasingly high and companies in the steel strip industry are therefore under ever-greater pressure. We have worked in cooperation with these manufacturers to develop a completely new tool, in order to meet with the increased demands and achieve high quality fulfilment of these. 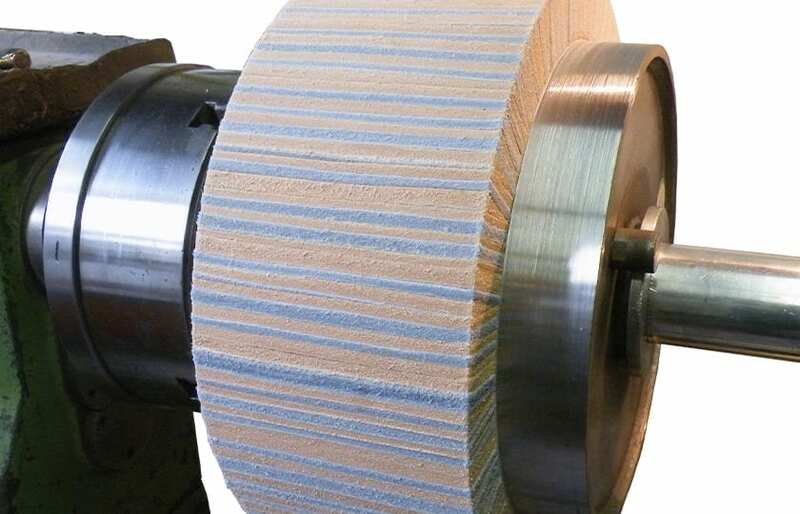 As such, many companies in the steel strip industry are working today with our leather rollers FAPI-BRIGHT and thereby attaining the optimum surface finish on their product. The leather roller FAPI-BRIGHT is produced from two leather components, so-called vegetable tanned leather and chrome tanned leather. In our house only top quality leather with optimum characteristics is processed. The vegetable tanned leather has a higher tannin content and therefore a leather substance of between 38 and 46 percent. In contrast, the chrome tanned leather can exhibit a leather substance of up to 72 percent. When compared with the vegetable tanned leather it possesses double the tear resistance strength. However, it is also lighter because the chromium salts used for tanning do not fill the skin. The tannin only accounts for up to 4 % of the leather weight, whilst vegetable tanned leather exhibits a tannin content of 20 percent. Within the framework of a specially developed process the leather for the leather rollers FAPI-BRIGHT is prefabricated with the optimum dimensions (width, thickness, height) – these variables have a decisive influence on the subsequent overall process. If incorrect dimensions are employed here then this has an immediate effect on the results of the processing. When using the leather rollers FAPI-BRIGHT one attains optimum surface qualities. These can naturally be decisively influenced in accordance with customer wishes, both by the leather roller and by the process parameters. Due to predominantly tailored customer systems we adapt our leather rollers FAPI-BRIGHT to the respective process characteristics in terms of diameter, width and hole.